Battalion Airsoft Arena offers one of the most unique Summer Camp opportunities available today. 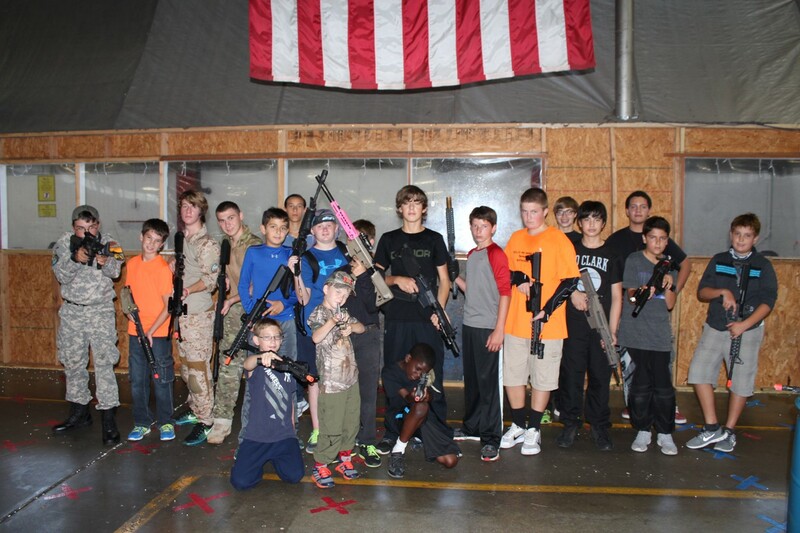 This camp is centered around the game of Airsoft and offers instructional training and game play in a Live Action Role Playing environment. We offer (3) week long camps that highlight topics like honesty, integrity, respect and leadership! All camps start off with a theme that will motivate and light the imagination of all our campers. We also spend time with noted self-defense expert Shandy Schaffner from Battalion Tactical Training Center to train the campers on basic self-defense and escape procedures. Each camp includes early drop off and late pick-up for working parents. The camp includes breakfast, lunch and all needed supplies and equipment, including rifles and (1) 5,000 count BB's for the week. Additional BB's can be purchased throughout the Camp. At the end of the week we invite parents or guests to celebrate our week together at a luncheon hosted in the Battalion Canteen where we recap the weeks events, watch a video shot on sight highlighting the week in review. The lunch, dessert and a copy of the video for your keepsake are all included in the price of the camp. Start Times for each Camp is 9AM - 3PM; Early drop off at 7:30AM and Late pick-up 6PM each day NO additional charge. Camp includes: Breakfast, Lunch, Snacks, Rifle, BB's, Full Face Protection, Specialized Training including Self Defense Training with Self-Defense Expert Shandy Schaffner.